Thank you for selecting our free Barbados magazine. The download link has been emailed to you. If you don’t see it, remember to check your spam/junk folders. 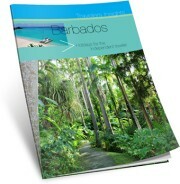 You can also email us at holidays@barbados.org. We hope you have a wonderful time planning your Barbados vacation and an even more amazing time once you arrive on our incredible island!